The best reel cover for your Avet or any other brand where only the best will do. 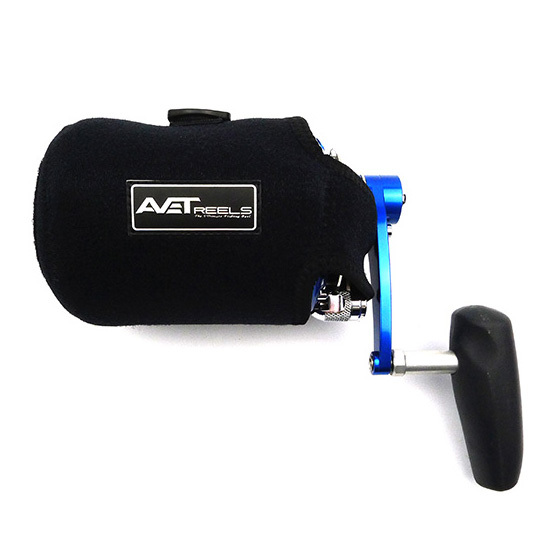 Avets padded reel covers are designed to provide the ultimate protection for your big game reels either on or off the rod. They feature a unique hook and loop fastener for easy fitting and removal. The rod clamp is also protected from damage. Large - Reels 12cm wide x 8cm diameter - Fits Avet LX, HXJ HX, HXW reels etc.